The two-person scene is the basic unit of TV construction. It's like a brick. If you have enough of these and they're good, you can do pretty much anything you want. At the same time, they're incredibly difficult to get right, and too many shows try to skip past them to get to the "good stuff," be that big, group scenes or big, action scenes or anything bigger than a small, two-person scene where two people have a dialogue about what they're thinking or feeling. A lot of shows often feel as if they need to skip past these basics and build something larger and more cumbersome. I hate to use Lost as an example in a Huge write-up, but one thing that show always had going for it was that it could break out a truly exceptional two-person scene between two characters you might never expect to see in a scene together. Then, it would do an action scene or a mind-bender scene or what have you. But what its copycats never grasped was that the show worked because it could do these smaller, quieter moments. The two-person scenes are what make Huge work for me so well. When it gets away from them and does something featuring lots of the campers together, it can be more hit-and-miss (which was one of the problems that befell "Spirit Walk" last week). But those two-person scenes tend to be little, carefully wrought beauties that start out in one place and never go exactly where you expect them to. "Poker Face" was positively filled with scenes like this, and while I'm not sure that I enjoyed every single storyline or moment in the episode, it was a good reminder of why I fell for the show in the first place. Everything that makes the series so compelling was on ample display in this episode, and yet, there was no really huge gimmick at its center. 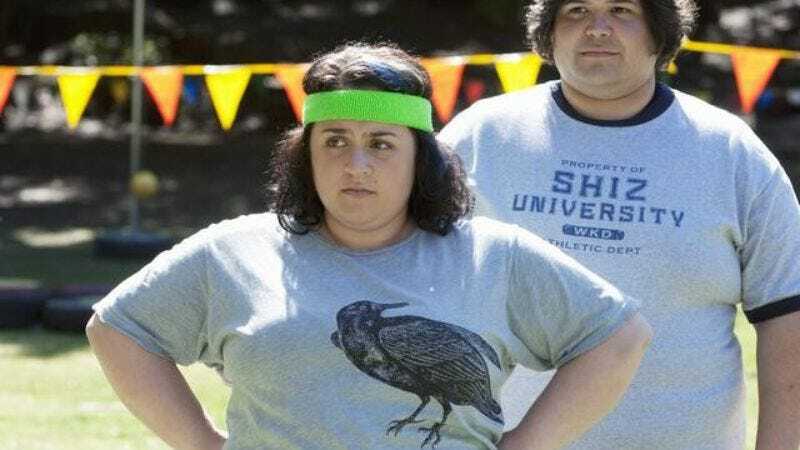 Huge, of course, was going to have to deal with a camp-wide weigh-in sooner or later, even if it seems like the show has been running from its central premise and toward a more general "Kids have lots of wacky experiences at camp!" premise for a while now. I think this is probably the right move for the show to make, as it opens it up and makes the series more universal. But at some point, the show has to acknowledge that it is, after all, about a bunch of overweight teenagers trying to lose a bunch of weight. "Poker Face" dealt with this more or less head on, and the reactions of the various characters to the idea of having to confront the reason they were at this camp so directly provided much of the episode's drama and returned the series to a conflict that it had mostly left behind: the camp's idea that a healthy teenager is a thinner teenager vs. Will's idea that this is all an elaborate way to make people feel self-conscious about their bodies. At its best, Huge has sided with neither viewpoint. It's that irritating friend who sits off in the corner and says, "In a way, you're both right." But the reason it does that is because both viewpoints are kind of right. It's there in Will's face when she's told that she's obviously lost weight by her friends. There's a look of surprised pride on her face that's quickly swallowed up by her own anger at how she was unable to actually gain weight at the camp (and when someone calls her on this, she tries to play it off as a joke, when we know it was nothing of the sort). There's a really subtle alchemy at work within the series about just how much you can change as a person and still be yourself, and Will is the center of that idea. 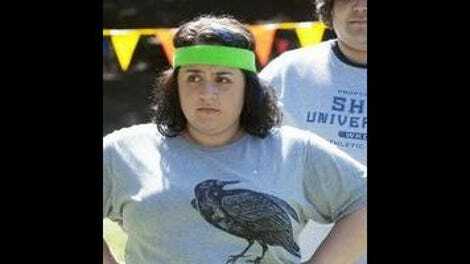 This moment, that look in her eyes, is a really nicely done acting moment for Nikki Blonsky. But it's also a larger scene, featuring nearly every one of the "fat camp" regulars (and several recurring players) bouncing off of each other with well-written jokes and some nicely pathos-filled moments. These are people who have struggled and struggled to reach this point, and now they're going to find out if that struggle was at all worth it, if they have anything to show for what they've done. But we'll also find out how they feel about what they've accomplished. What I like about Huge is that it catches these people not in the process of losing weight but in the process of becoming something else, of letting go of some of their adolescent hang-ups and learning to be better human beings. To that end, Will's ambivalence about becoming someone who doesn't think that the camp's philosophy is 100 percent wrong (even if she still thinks it's mostly wrong) is well done. I mean, yes, there are moments in this episode I could do without. I'm impressed with how sensitively the show is handling the Amber and George relationship (which obviously should not be happening, even as the show makes it clear just why it is), but there's really no reason that it needed to do the hyper-obvious thing of having Will find out about it, outside of the fact that she's the protagonist and the show's been building toward this storyline for a while. Similarly, I thought perhaps more could have been made out of Dr. Rand learning her dad was playing poker with the kids using macaroni as chips. That her family fell apart because he would routinely gamble away everything they had when she was a kid was a heart-rending moment, but it sort of disappeared after a bit. At the same time, the vast majority of "Poker Face" was this show at its best, and with its return to the show's central premise, it could have worked just as well as another pilot or another episode for people who are curious about some of the praise the show has received to dive in with. And where did the episode (and the show) excel? In those little moments between what would be the bigger moments on another show like this, where the characters got room to breathe and just talk with each other about the things they did and didn't want and the kinds of people they thought they could be if they just lost another little bit of weight. Think, for example, of the scene where Ian gives his weight card to a friend to rip up because he doesn't want to know, wants to keep working for the pleasure of the struggle, or the scene where Will and Becca talk about why Will can't be happy for Becca about her weight loss. These are tiny, tiny scenes, but they add up to something much larger, and it's that element of TV craftsmanship that makes Huge work. The scenes in the girls' cabin are so much better observed than the scenes in the boys' cabin, in general. Tonight's example of the girls having to get Will to rid the cabin of a gross bug was another fine entry in this genre. Part of the reason that Huge always seems to head exactly where it seems to be heading is probably its intended audience. On the other hand, the writers make the journey to where they're going so interesting that I mostly don't mind. Thanks for the - surprisingly large! - number of you who are reading this blog. I think we'll have some fun talking about the show as it heads toward the end of its first season, and I hope we hear something on a renewal - even a rumor of a renewal - soon.